Using a stud finder is the closest most of us will ever come to having X-ray vision. 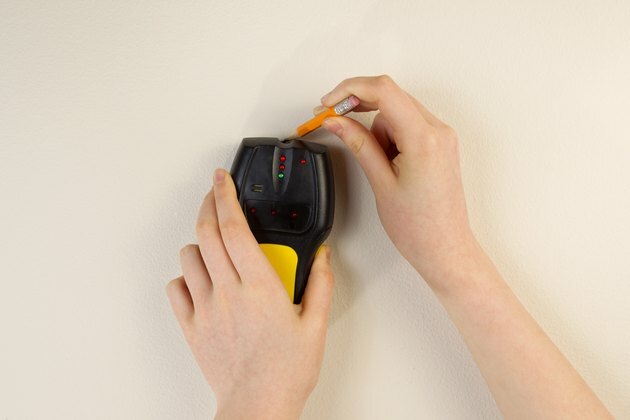 And while this isn't quite like a superpower, a stud finder can make a lot of difficult jobs much easier simply by telling you what's behind the drywall of your wall or ceiling. Analog stud finders actually use a magnet to locate nails or screws in studs. Electronic versions use an electrical field or radio frequency to locate studs, and some can find not just framing, but also wiring, pipes and even critters moving within the walls. An electronic studfinder deserves a place in every homeowner's toolbox. The earliest stud finders were small plastic devices with a small magnetized finger that moved when the device comes close to a metal nail or screw securing drywall or plaster lathe. The nail or screw presumably goes into a stud (or a ceiling joist, rafter or other ceiling member), so finding a screw means finding a stud. These inexpensive stud finders are still around and are still very inexpensive and as reliable as a magnet can be. Their primary drawbacks are that they can't tell you where the stud's edges are, and they require finding a nail or screw, which might be a foot or more from where you want to work. Magnetic stud finders can work fairly well if you have plaster that has been applied over wood lathe since the lathe boards are closely spaced and are attached with nails at every stud location. A magnetic studfinder is the epitomy of a simple tool. Simple electronic stud finders look like props from early Sci-Fi movies. Most are simple handheld modules with red and green lights to indicate the presence of a solid body behind the drywall, usually a stud. These devices detect objects by measuring electrical capacitance. Simply put, they create an electrical field and measure how the wall responds. 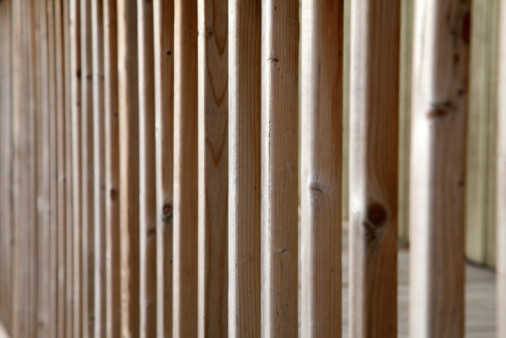 Empty wall cavities affect the field less than studs, due to the studs' greater density. Standard electronic stud finder works by electrical capacitance to sense density. 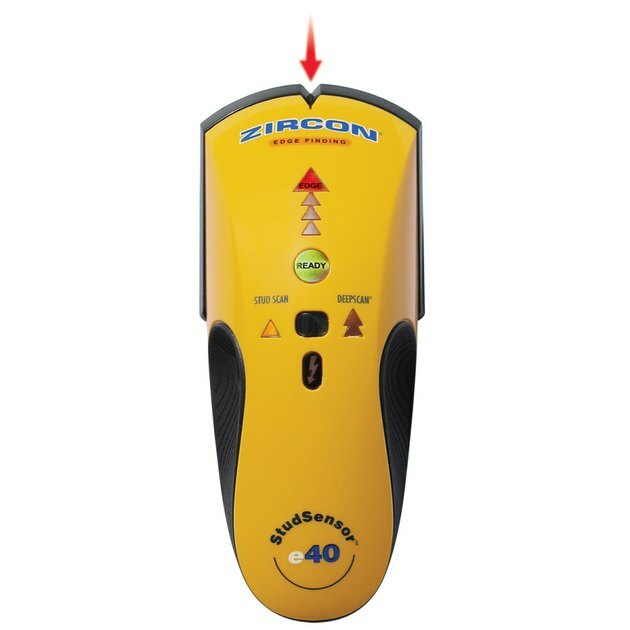 The best thing about these simple electronic stud finders is that they're inexpensive, they're very easy to use, and they tell you where the stud starts and stops so you can easily find its center (the best place to drive an anchor). On the downside, they're less sophisticated than more advanced instruments, for those who need more info. Wall scanners comprise a later generation of electronic stud finders that offer greater capability and accuracy over basic versions. Their name is really just a marketing term suggesting that they do more than find studs—which is a true claim. 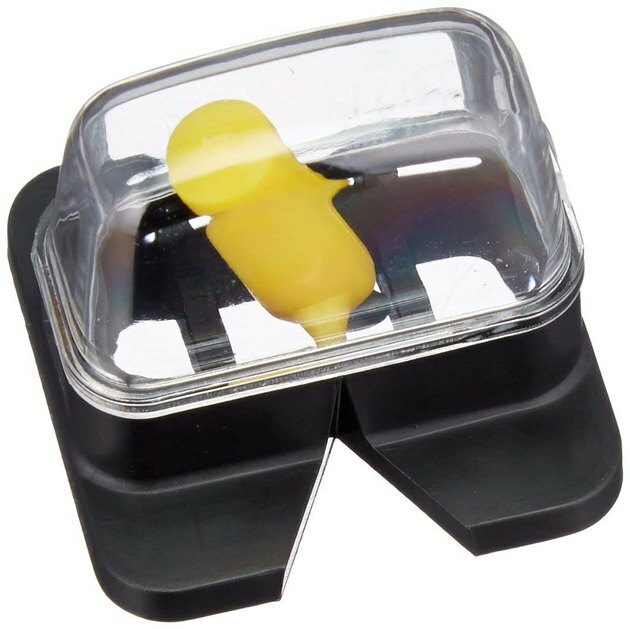 Using the same measure of electrical capacitance, scanners locate stud edges in addition to wires and pipes. Some can tell the difference between wood and metal studs and between ferrous and nonferrous metals. A metal stud is ferrous (contains iron); a copper pipe is nonferrous. Electronic wall scanner is a more sophisticated version. 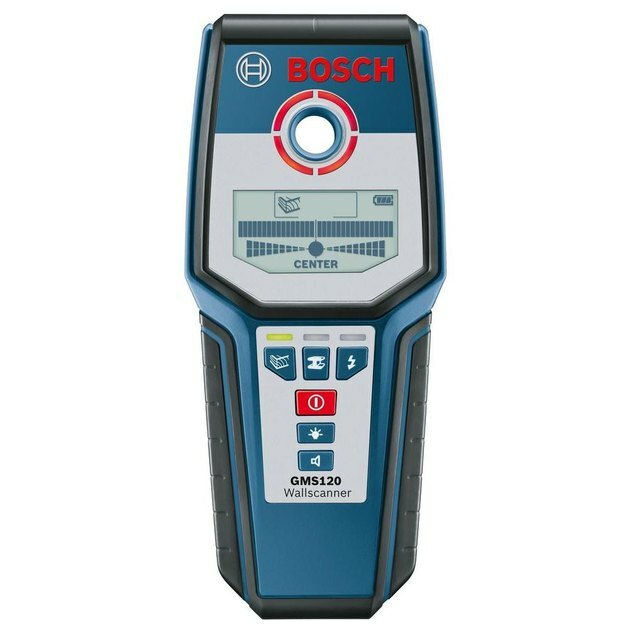 Most wall scanners also have the ability to detect voltage in electrical wiring and can indicate the location of a live electrical wire. But they cannot detect wires without voltage or low-voltage wires (live or dead), such as doorbell or thermostat wire or telephone cable. Scanning walls and other structures with radio frequency (RF) is not new, but it's relatively new to the stud finder market. Stud finders that use RF, such as the Walabot DIY, integrate with a smartphone to create a 3-D image of studs and other objects behind drywall or even concrete. They do not work on plaster walls or stucco surfaces. The Walabot DIY includes a base device that sticks to the back of your phone and makes a connection with a USB cable (it works with Android phones only, not iPhones). The device is powered by the phone's battery. Instead of the flashing lights or digital scales used on other stud finders, RF devices display a 3-D image of the object on your phone's screen. Like wall scanners, RF stud finders can locate wood and metal studs, water pipes and electrical wiring, but RF devices go one step further by detecting movement in the wall, telling you if you have mice or other small critters in residence. The 3-D scan may seem to give you X-ray vision, but of course, it's just a computer-generated image; the device can't see through the wall material. For that, you need the help of Superman or Supergirl.